I had been eagerly awaiting the arrival of my essential oil recipe box and have been so excited to do the Simply Earth unboxing for you. It was seriously so hard not to rip it open right away! 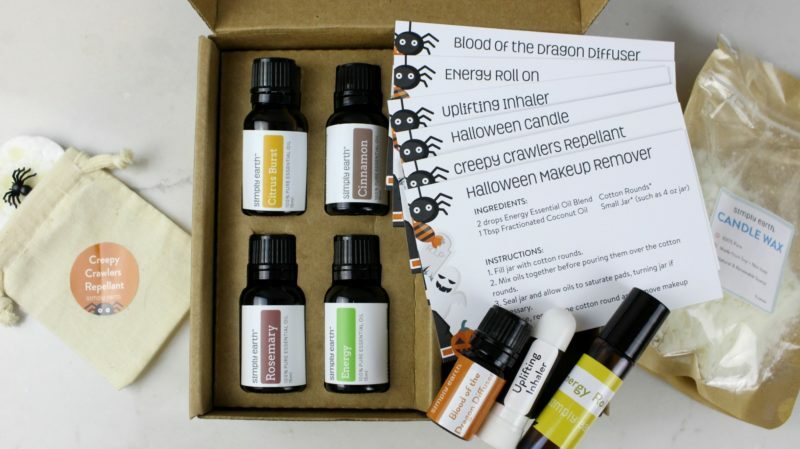 Every month Simply Earth sends out a DIY recipe box with 4 essential oils and 6 recipe cards all based around a theme. 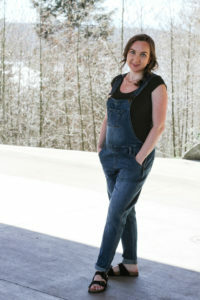 The DIY’s are easy to make and a fun way to have some me time after the kiddos go to bed. Check out the video below or read post to see what this months theme is and what’s included. Essential oils are gaining in popularity, but it is important to remember that not all essential oils are created equally and there are certain things you should keep in mind to ensure you are using your oils safely. Simply Earth is dedicated to providing safe essential oils at a cost-effective price point. Their essential oils are 100% pure and backed by their 365 day Simply Earth guarantee. Every batch is tested and you can view their GC/MS reports for each oil on their product page. While you’re on their product page you’ll also notice that their oils don’t cost an arm and a leg, and with the $20 gift certificate, you receive when signing up using my coupon code found below you’ll be able to get a few items to add to your collection. If you’re new to essential oils I recommend checking out Simply Earths free ebook found through their Essential Oils Library. It has tons of information about safe essential oil use including information on each individual oil about safety while breastfeeding, while pregnant, and for children. Books like this sell for $40-$150+ dollars and you can download it for free from their website. Simply Earth truly lives up to their promise of making quality essential oils accessible. I feel very confident using these oils around my family and am happy to show you that essential oils are safe and accessible for you and your family. This blog post contains affiliate links, and although I have received compensation, all opinions are my own. Your trust and respect are so important to me and I would never be anything except 100% honest with you. 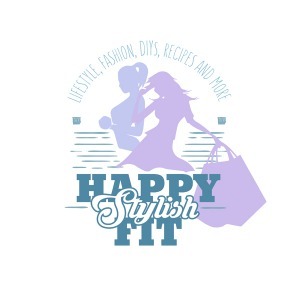 I love sharing tips to help you, and by collaborating with companies that align with Happy Stylish Fit I am able to continue to support my family while providing you with the content you love. This month’s Simply Earth Subscription Box is geared around a Halloween and Autumn theme and I am loving all of the #FallVibes! I’ve really been wanting to get my hands on Cinnamon and Rosemary essential oils and love that they’re included in this months box, and the 2 other essential oil blends smell amazing! All of the DIY essential oil recipes are things that I see myself using, and even remaking time and time again! It’s really great the Simply Earth includes almost everything you need to create the DIY recipes. The only items not included in the monthly subscription box and Big Bonus box (details below) are general household items like cotton rounds. Make sure to tune into my Instagram and Facebook stories to see the DIY recipes being made! Every month you receive 4 essential oils, 6 recipe cards, and the other items you need to make the recipes. When you sign up using the code “HSFFREE” you also receive a $20 gift card, and the bonus box, which includes all of the different bottles, containers, and little fixings you’ll need for a 6 month subscription, it’s seriously insane how much is included in the bonus box! Treat yourself, and enjoy getting your creative, natural mama on while creating the monthly essential oil recipes. You can also feel like you’re helping a greater cause, because 13% off all profits supports various charities who work towards ending human trafficking.